My colleagues (some are UX/UI designers, others are illustrators) often do weekly challenges to polish their skills.. Following their example (I’m referring to AnaB and AndrijaP) I decided to do something similar. I will write about design concepts and do reviews of existing apps/websites. Now we have arrived at the first challenge theme. According to 2017 BLS report, weightlifting is in the top three sports and these days more and more people are lifting weight. Are you one of them? Have you ever exercised at the gym and wondered if you are doing the exercise correctly? Have you ever looked at the mirror to see it? If yes, I hope you will like the idea of the Smart mirror for Gym. The best way to avoid injuries is to have a coach or an expert who can help you embrace the technique. However, the smart mirror could also help you out in the similar way by telling you what’s wrong and how to improve. FYI When I say an expert or coach, I don’t speak about broscience guys. Beginners in the commercial gym often start by doing quite complex exercises such as deadlift, bench or squat. Most beginners explore and learn the activities from the Internet or through broscience. Due to overload of incorrect information you might stumble upon as you do your “research” while starting out, a lot of your initial exercises are done incorrectly. Some people aren’t aware how small but crucial mistakes could affect their body and their health. Powerlifters, bodybuilders, and weightlifters, when not having buddies or someone to keep an eye on their technique, want to make sure that their technique doesn’t suffer and they want to establish that they’re doing everything correctly. Create a smart mirror for weightlifters, so the mirror could help them notice if they are doing something wrong. The mirror could be programmed to measure diagnostics, flexibility and other measures defined by the professionals. There should also be an option to choose which info should or shouldn’t be visible on the mirror because some people don’t want to be embarrassed in front of others if they are doing something wrong. The mirror and customer account could also be connected to headphones and VOI to have an audio response. Emma is already a gym member and she is familiar with Gymmirror. She has been exercising bench press for two days ago and today she’s got squats on her schedule (#1 Squat). She is able to see the exercises plan for today or just go to position (#2 to start, go to position) pointed on the mirror and do squats based on which the mirror should be calibrated (#3 -calibration). After calibration, she can start the first exercises. Mirror predicted a weight and repetition based on her movement, time or she could adjust the program on her own, and that will be taken into account for the next exercise. The blue lines follow costumers activity and controls if the exercise is done correctly. Today, there are apps which track and control everything when exercising such as heart rate, burned calories, and speed. Nevertheless, the technique is the most important when working out and even though an app can’t measure everything on its own, but it could do that by connecting with other smart technologies. 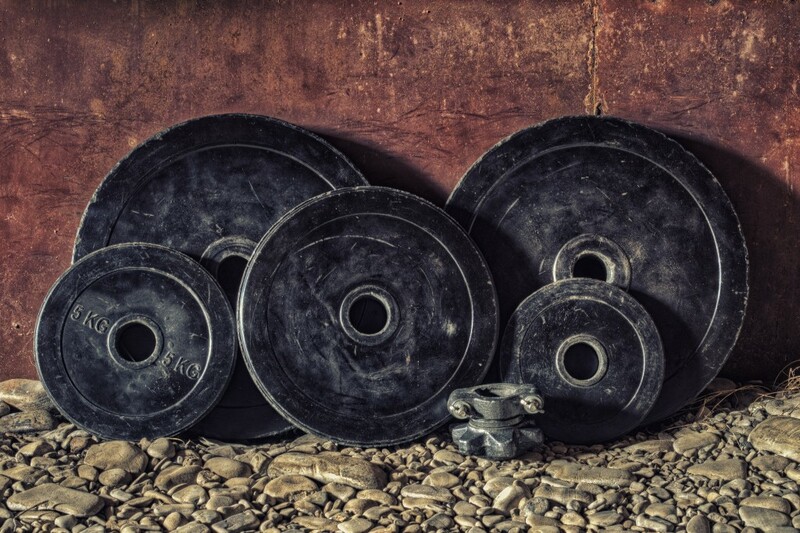 Can you imagine IoT gym with sensors on the weights, points on the floors which help the smart mirror to track your bodyweight and feet pressure when lifting something? What else would you like to include in IoT gym? Gyms of the future was originally published in UX Collective on Medium, where people are continuing the conversation by highlighting and responding to this story.